People who rely on food supplements, such as iron, to address diet deficiencies. People who take food supplements to reduce the risk factors of diseases, such as heart disease. People who take food supplements to enable their body to function at a normal level and maintain a good standard of health. To put such a huge tax on products that have a positive impact on people’s health makes no sense, and goes against the Government’s own Healthy Ireland initiative. Revenue’s decision to introduce such a dramatic increase will have a huge impact on sales for health stores and pharmacies across the country. Most health stores and pharmacies are independent shops trading on the main street of small towns across Ireland. They play a vital role to local business and their local communities. For the past 40 years, there has been a 0% Vat rate on food supplements. An immediate 23% increase is unprecedented and could put dozens of health stores out of business and cause hundreds of jobs to be lost. According to an iReach survey commissioned by the IHTA, 71% of Irish people buy health vitamins and minerals all year round, with 73% of those regular consumers doing so to maintain and improve ongoing adult health. Do not tax health products,vitamins or especially probiotics!!! Below is a mail I received from Darragh O’Brien a Fingal td. Please note Leo V remarks re natural goods. This should be highlighted. Thank you for your email on this very important issue. There has been an issue about the VAT treatment on food supplements for some time. Our spokesperson on Finance, Deputy Michael McGrath raised this issue twice late last year during the passage of the Finance Bill through the Dáil. At that stage the Minister committed to reviewing this issue as part of the Tax Strategy Papers which are usually published every summer. These papers look at various tax issues and outline proposals to address those issues in the forthcoming budget. 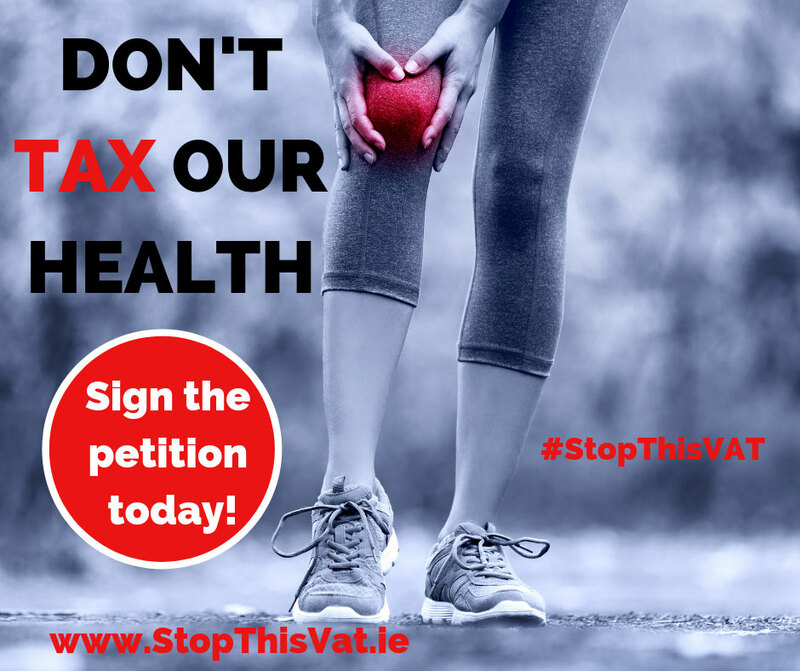 However, no indication was given at any stage by the Minister or the Government that the Revenue Commissioners were planning to issue new guidance on the VAT treatment on food supplements. The Revenue Commissioners published their revised guidance on 27 December 2018 on how various food supplements will be treated for VAT purposes from 1 March 2019. This will have drastic implications for many food and food supplement items and it will end up costing the end consumer far more. At a time when the cost of living is increasing for many families and individuals this change will only serve to add to this pressure. •	Details of the nutrients or substances (i.e. the ingredients). •	Have usage or dosage instructions. •	A warning not to exceed the stated recommended daily dose. •	A statement to the effect that food supplements should not be used as a substitute for a varied diet. •	A statement to the effect that the products should be stored out of the reach of young children. Products presented as the following will be deemed to be food supplements and subject to VAT at 23% from 1 March 2019. This new treatment is extremely broad and it would appear that many items that were zero rated for VAT purposes will now be subject to 23% VAT. This will mean the cost of those items are likely to increase substantially over the coming months. Fianna Fáil is opposed to these changes and we will continue to put this issue to the Minister and the Government. It needs to be addressed before 1 March 2019. We have continually asked the Minister to review this issue and to address the concerns like the ones you have outlined in your email. When asked about it the Taoiseach said that “food supplements very rarely do anything for our health. They are mostly snake oil and just cost people money”. This was an extremely unhelpful comment at the time when it was being raised before Christmas. It shows a basic lack of understanding for the people who use such supplements for the benefit of their health. Thank you once again for your important email. Hi can you advise why this increase has been introduced with little or no consultation with the public. The Taoiseach statement that “food supplements very rarely do anything for our health. They are mostly snake oil and just cost people money”, clearly shows his ignorance and immaturity. They are called FOOD supplements and should be treated as food. If food producers would supply decent, nutrient rich food, we might not even need supplements. But this not the case.